For dinner I went to Hmart and purchased sushi grade sashimi, which includes salmon, tilapia, and tuna. I chopped lettuce, mushrooms, avocado. 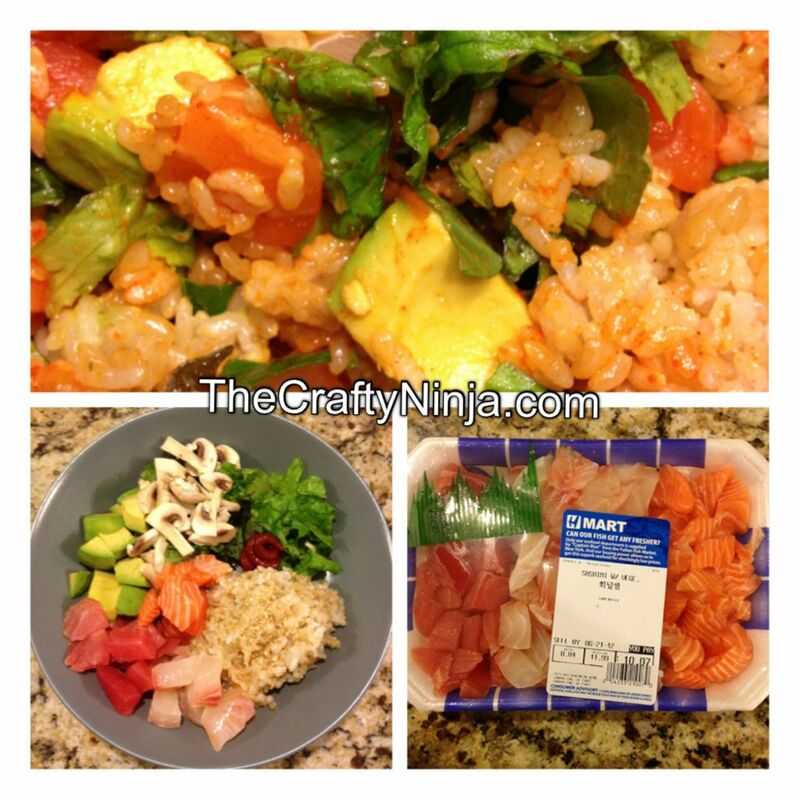 Mixed it all together with brown and white rice, sesame seed oil, roasted sesame seed, and red pepper paste. A good way to eat clean by eating raw and fresh foods.